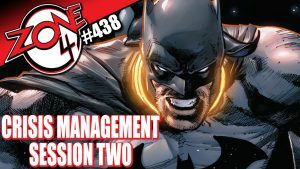 The crew of Zone 4 returns for another session of Crisis Management as they discuss Heroes in Crisis #2 from DC Comics on this LIVE episode of Zone 4! We are talking The Haunting of Hill House and the possibilities of Heroes for Hire for Marvel TV! Zone 436: Heroes International with Mike Watson! The Zone 4 crew is joined by Short Fuse Media Publisher Mike Watson as he talks all things Short Fuse, including Heroes International live on Kickstarter now! 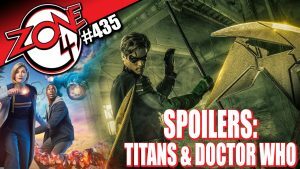 Zone 4 #435: SPOILERS: Titans & Doctor Who! The cast of Zone 4 go FULL SPOILER on the season 11 premiere of Doctor Who and the series premiere of Titans!